Sadly, future park-goers will never catch a glimpse of Spitfire. The Montana Department of Fish, Wildlife and Parks just confirmed that she was cruelly killed by a trophy hunter. What's even worse is that her murder was completely legal. Spitfire had wandered just outside of the park, where she was no longer protected. Spitfire's mom met a similar fate six years ago, leaving Spitfire as the new leader of the Lamar Canyon Pack. 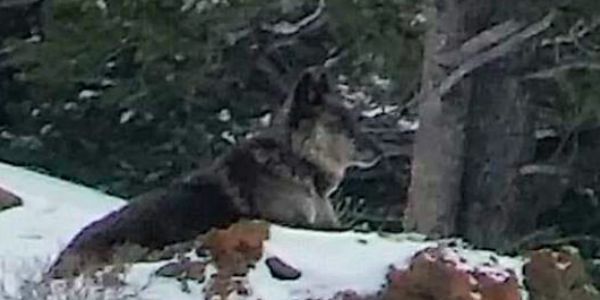 According to wolf lovers, she "led her pack through a number of very difficult circumstances" and "showed incredible strength, courage and resilience in everything she did." Now she's gone, and the Lamar Canyon Pack is yet again without a leader. It's not uncommon for animals to roam just beyond national park boundaries — which is why their protection should be extended. Sign now to demand buffer zones around Yellowstone National Park.